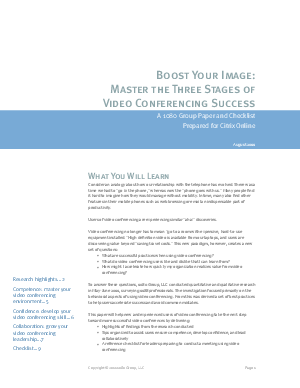 Video conferencing use is growing. In fact, users recently surveyed by 1080 Group expect it to grow by 211% in the next year. Better make sure you're putting your best virtual face forward. This new 1080 Group white paper explores best practices for video conferencing and provides a handy checklist for preparing and conducting a successful video conferencing session.